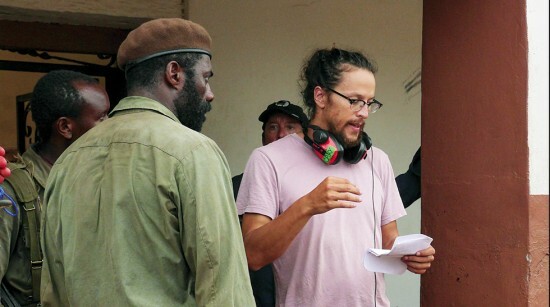 BEVERLY HILLS — “Beasts of No Nation,” a new film written and directed by Emmy Award winner Cary Joji Fukunaga (“True Detective,” “Sin Nombre”) and starring Idris Elba (“Luther,” “Mandela: Long Walk to Freedom”), made its debut Friday in select theaters in the U.S. and worldwide on Netflix. Produced by Red Crown Productions, and co-financed with Participant Media, “Beasts of No Nation” is based on the highly acclaimed novel by Nigerian author Uzodinma Iweala, bringing to life the gripping tale of Agu, a child soldier torn from his family to fight in the civil war of an African country. Newcomer Abraham Attah gives a stunning portrayal of Agu, while Elba dominates the screen in the role of Commandant, a warlord who takes in Agu and instructs him in the ways of war. 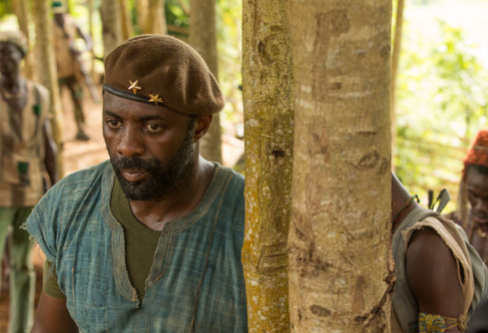 “There are hundreds of thousands of children fighting as soldiers in conflicts around the world and with ‘Beasts of No Nation,’ Cary has succeeded in humanizing their terrible struggle with an incredibly emotional story and brilliant filmmaking built around Idris Elba and Abraham Attah’s performances,” said Jonathan King, executive vice president for narrative film at Participant Media. Golden Globe-winning actor Elba showcases his creative versatility both on-screen in television and film as well as behind the camera as a producer and director. He was most recently seen starring as Nelson Mandela in The Weinstein Company biopic “Mandela: The Long Walk to Freedom.” His performance earned him Golden Globe and NAACP Image Award nominations. On television, Elba is best known for his portrayals of the chillingly charismatic drug lord Russell “Stringer” Bell in HBO’s series “The Wire” as well as detective John Luther in the BBC One series “Luther.” The latter won a Golden Globe plus he received an additional Golden Globe nomination and three Emmy Award nominations. Elba is currently in production on the final installment of “Luther,” which will appear as two two-hour episodes. Fukunaga made his feature film writing and directing debut with the acclaimed film “Sin Nombre” for Focus Features, for which he won the directing award at the 2009 Sundance Film Festival. He also directed the 2011 film “Jane Eyre.” Most recently, he served as director and executive producer for “True Detective,” earning the 2014 Primetime Emmy Award for Outstanding Directing for a Drama Series. “Beasts of No Nation” is produced by Amy Kaufman and Fukunaga (who previously worked together on “Sin Nombre”), Daniela Taplin Lundberg, Riva Marker and Dan Crown for Red Crown Productions, along with Elba. Jeff Skoll and Jonathan King are executive producers for Participant Media and Donna Gigliotti is executive producer for Levantine Films. Good coverage of important events & issues as Keiro, Asians in Media, Rafu in English & Japanese, and other issues affecting AAPI individuals & groups. Thank you for reporting in depth news stories. Mas sato, San Jose ,ca.